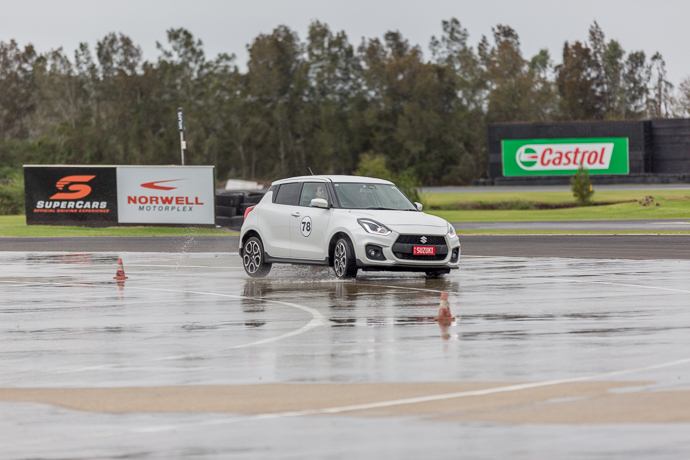 Here’s why everyone should do a driver training day…. My fear of driving started back in 1993 when I witnessed a massive car accident on the Kwinana Freeway. Trying to pull people from the wrecks before they burned, witnessing people that ‘no longer had a face’ and going home with my hands covered in blood….it was something that scarred me. For the next 12 years, I refused to drive on the highway. Even driving as a passenger on the highway made my palms sweat. My poor husband became my ‘driver’. If he couldn’t take me somewhere, I just didn’t go. And don’t get me started on ‘merging’ – I’d have to close my eyes until it was over whilst trying to “brake” from the passenger seat. It was so overwhelmingly stifling to me. I’d always been so independent, but the thought of being in a car accident and not being confident enough in my abilities to avoid an accident was what was holding me back. 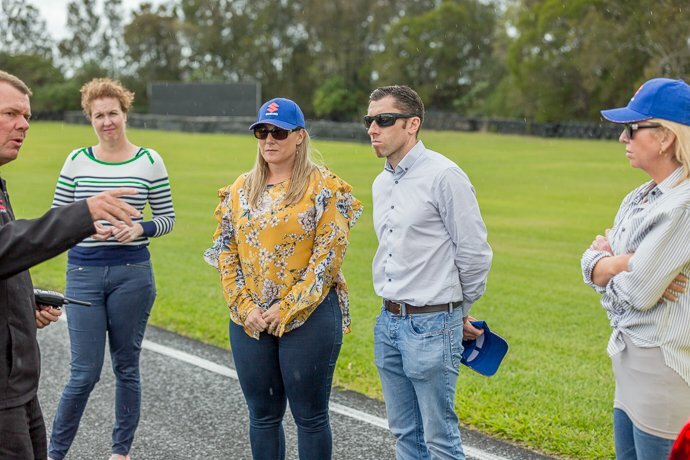 Hubby finally made me go to a Driver Training Day – it changed my life. But that was a long time ago now and I really needed to sharpen my skills. Fast forward to now and I am actually quite a bit better driver and would go as far as to say I even enjoy driving, although I still get sweaty palms when a truck comes up next to me. 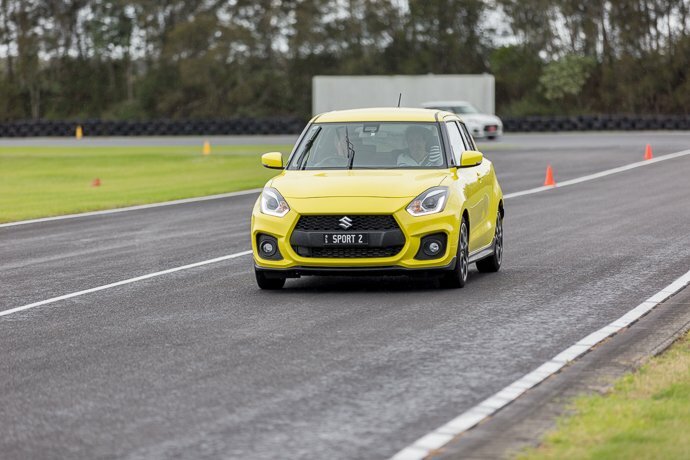 So when I got the call from John at Suzuki Queensland inviting me to join them at the Norwell Motorplex for a more advanced driving experience I jumped at it. Everyone can be a better driver, and there is always room for improvement. 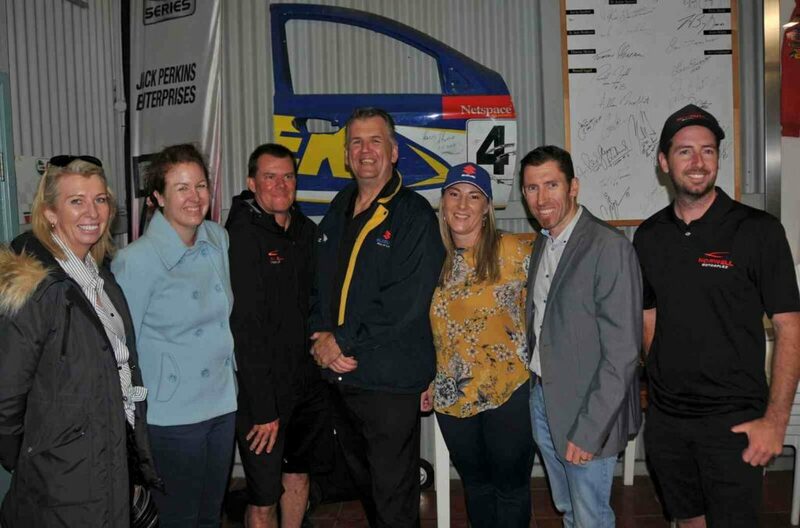 Norwell Motorplex is a raceway about half way between Brisbane and the Gold Coast. Our instructor for the day was ex-race driver, Steve ‘Robbo’ Robinson, so we were in good hands. The first part was estimating how long it takes a car to stop at different speeds. And the stopping distance, even with modern brakes, is still a pretty long way if you were standing in front of it. We then got to do some emergency stops – going at 100km/hour, which I was sure was going to totally wreck any car (I was taught never to slam brakes on at those kinds of speeds, but to ease the brakes). 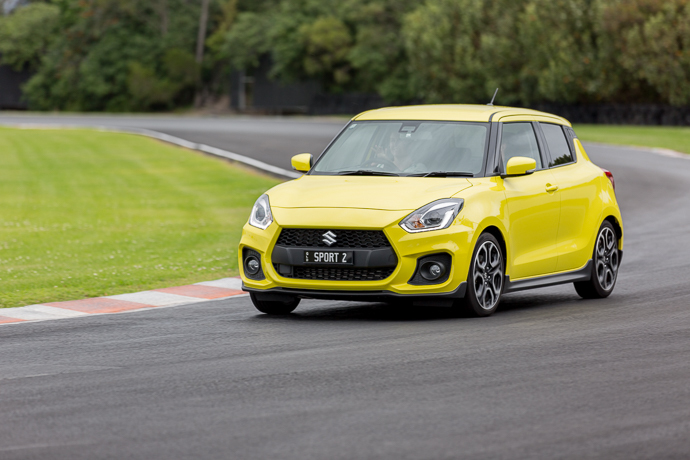 But cars are so good these days with ABS brakes, the Suzuki stopped on a dime! 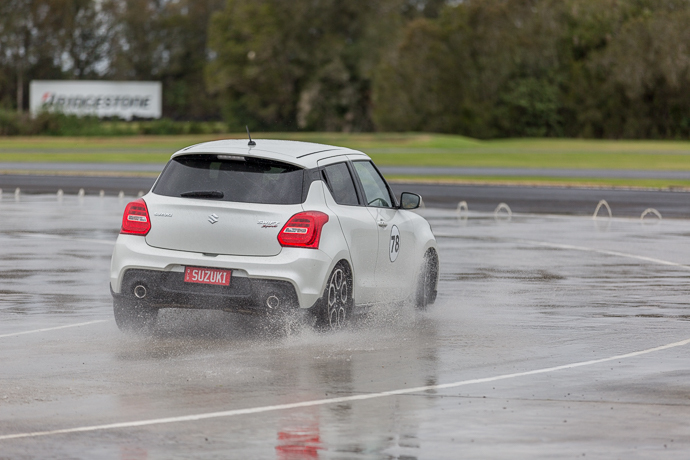 Oh the skid pan WAS EPIC FUN!!!! We got to do a time trial zipping in and out of traffic cones whilst having the foot flat on the accelerator. Once I trusted that the car wouldn’t flip (I really thought cars flipped), I totally enjoyed it. 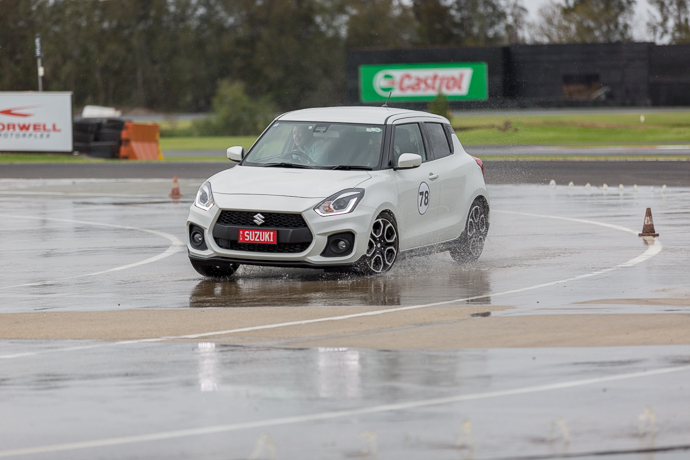 Grant Edwards, a Motoring Journalist from the Sunshine Coast, was brilliantly fast and took out the crown for the day. That boy can really drive! Normally, I would never ever drive in wet conditions – even now. 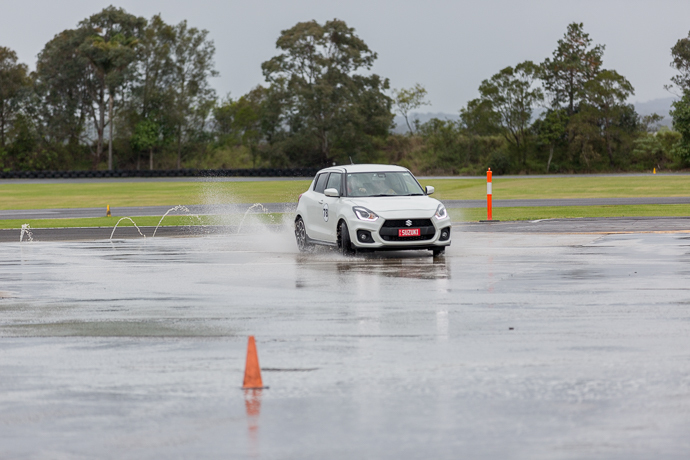 So driving on the skid pan was terrific for learning how cars react in the wet, the different stopping speeds, and drifting! There are 100 fatalities per year just on Queensland Roads. I know when my sons become old enough to drive, they will certainly be doing a Driver Training course (and if Steve is still teaching this then, I will be going to him to teach them!) But ladies, this is great for you too, just to brush up on your skills. As Robbo said on the day, “Cars have improved outta sight, but drivers haven’t.” And that is so true. The Suzukis we drove on the day had all the bells and whistles you could ask for in a little car. (Even that sensor that will make the car stop automatically if someone walks out in front of them – but I wasn’t allowed to test that on the day lol!). At the end of the day, we got a ‘Hot Lap’ with Robbo. The more I squealed, the faster he went! 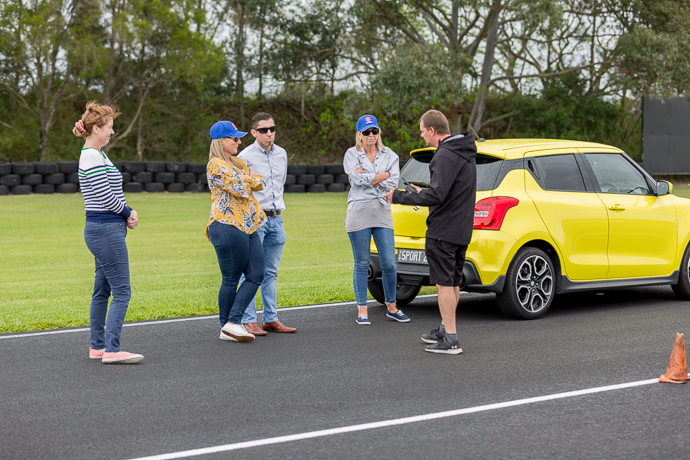 It was incredible – and although I have no intention of ever driving that fast anywhere, ever, it was amazing that these little cars just pumped on the racetrack like they did! The group of ratbags I was with for the Driver Training.